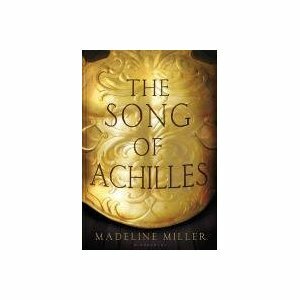 I’ve been eagerly awaiting Madeline Miller’s debut novel, The Song of Achilles, for much of the year and it has received a lot of hype and a number of glowing reviews in the mainstream press. I’m a sucker for retellings of myth and, with The Iliad having been a favourite since I was a small boy, I was pretty sure I was going to enjoy The Song of Achilles even if it had turned out to be a little bit rubbish. Fortunately, it’s not a rubbish. It’s actually very good and I certainly found it a page turner, sitting comfortably in a clever space – a bit more literary than the average swords and sandals story but not so literary as to be uncommercial. I don’t want to draw a Madeline Miller-Mary Renault comparison but there is a certain similarity in the positioning of their books. Unfortunately, that last paragraph says it all as far as my impressions go. It didn’t shake me. It didn’t make me go “wow”. Yes, I enjoyed it. Yes, it’s pretty well written. Yes, it’s an interesting take on the story and, yes, I would recommend it but, really, I don’t get the fuss and I think some of the other reviews are a little too effusive. The Song of Achilles isn’t strictly a retelling or reimagining of The Iliad. The period of time encompassed by Homer’s original is all there but it is bookended by the early lives of Achilles and Patroclus and by the events that follow the killing of Hector and the return of his body to Priam. It is, as advertised, at heart, the love story of Achilles and Patroclus and Miller weaves in elements of related Greek myth to help tell the story. Miller is quite clear where she stands on the “Were they, weren’t they?” issue. She has no time for the idea of Platonic, non-sexual love between male friends. Achilles and Patroclus have a fully consummated physical relationship. This, of course, is not a new idea and there is sufficient context in both The Iliad and our knowledge of Greek mores at the time to make it not just plausible but a natural conclusion. In general, Miller handles the physical side of it well, making it flow logically from the text. There are occasions, however, when her descriptions are euphemistic and even verge on the arch – she even talks about the warm spurt of his love – I mean, seriously? I also enjoyed her treatment of the other dramatis personae. Miller manages to incorporate the gods into the story in a way that feels natural. Yes, the Gods do exist and they do make their presence felt in the real world but they are not intrusive and do not come across as figures from a Marvel comic. Thetis, in particular, is portrayed with a sense of menace and her ambition for Achilles is clear, without her ever doing anything very divine. The other Greek heroes are also dealt with deftly. Their basic characters are exactly as a reader familiar with Greek mythology would expect. But Miller is brave enough to extrapolate and riff on the basic material and does so cleverly, managing to create a modern novel from the bones of myth. She is also a good storyteller, exercising good judgment in which parts of her source material to emphasise and where to freelance. Some of the central scenes from the Iliad, such as Priam’s supplication to Achilles and Thetis getting new armour for him are given far less prominence than one would expect and some elements (his Achilles' heel!) are omitted altogether. Her judicious treatment of the source material both makes sense in the context of her story and also avoids it becoming just an Iliad retread. Despite knowing exactly who would die, what was going to happen and how it would all end, I still felt a sense of tension and a need to turn the page. The main criticism I have, though, is that I didn’t wholly buy into the characters either of Achilles or Patroclus. Achilles came across to me as almost schizophrenic. Up until the point when Agamemnon dishonours him by demanding Briseis, he seems like a self-indulgent, love-struck gilded youth. Almost instantaneously, however, he turns into the prideful, adamantine, almost super-human figure that The Iliad gives us and that is necessary to explain his refusal to fight and to give Patroclus the reason to ask to borrow his army. I can see how his character might have changed but it felt a little bit too quick. By contrast, I enjoyed Patroclus’ character progression from useless child to self-sacrificing hero and Achilles’ conscience but felt that Miller was a little too hard on him as a child. She gives us a young Patroclus who is the child of a simple-minded mother and a father who despises him. He is, not to put too fine a point on it, a bit of a waste of space as a child and, even after his arrival at Troy, he doesn’t take part in the fighting. The way Miller portrays him makes it seem strange that the young Achilles would have picked him as his companion. Maybe as a result of the lack of qualities she gives him as a child, the story of his development almost elbows the love story aside as the central theme. I don’t want to sound overly negative. I really did enjoy this book. It’s just that I don’t think it lived up to the hype and, as a result, I’m probably being a bit picky about it. It is well-written, a great story and there are some interesting themes in it, especially the way in which the various prophesies slowly come together to catch Achilles in their web and show that one can’t avoid one’s fate. I am sure it will get a reread from me in the future and I will definitely buy her next book, I just don’t think it is as good as the hype would have you believe. UuuuUUuu a "literary" book about Troy (my favorite ancient story)? What's not to like? From your review there's a lot of focus on the male characters, how does Miller do with the female ones? Alex - the female characters are a bit of a mixed bag. There are really only two on whom she spends much time - Thetis, who is pretty much the ultimate pushy mother, and Briseis, who gets an easier ride. Other than that, the female characters play minor parts. I only skimmed - am just starting the second half. I do feel like I'm being a bit overly in love with this already and not sure why but what the heck. Some books are just fun and I'm enjoying it. Did you know you can create short urls with Shortest and make money from every visitor to your shortened links.